The 5x50 challenge has been going really well for me, and I have rediscovered a total enthusiasm for my training...an enthusiasm I didn't even realise I'd lost. Today will be day 10 of my runstreak and as well as this new found motivation to actually pull on my trainers and go for my run, I've found that the quality of my training has really improved too, even though my mileage hasn't been that high. Of my last 9 runs, 6 of them have been under 6 miles. 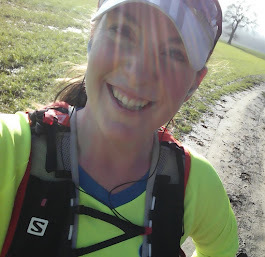 As the runs have been shorter than usual, I've found myself wanting to ensure that I'm making the most out of them, so I'm generally running much faster, thinking about my form, concentrating on what I'm doing rather than daydreaming, and I feel that I'm benefiting from training more than I had been. This can only be a good thing! On Sunday, I had the Ingatestone 5 mile race, in the (unexpectedly undulating) tree-lined country lanes around the village. I didn't know whether I'd really enjoy a 5 miler - I've never raced the distance before, and am obviously more used to longer distances and had only signed up as it was very local to me, and thought it would encourage me to get my long run done in the morning, rather than wait until late afternoon! It was a very small, understated, "clubby" race and I don't remember anyone who wasn't wearing a club vest, so I was relieved I'd worn mine although it all seemed pretty friendly. The route was lovely, there were enough hills to make it challenging, and I was pleased with how I ran, finishing in under 40 minutes which is what I was aiming for (Garmin time of 39:15, average pace of 7:52), with enough in the tank for a bit of a sprint finish...although unfortunately the guy I was racing finished ahead of me - doh! No medal at the end either, just a cotton t-shirt, which was a shame and had to pay for refreshments which I wasn't too impressed with, but nevertheless, a nice start to the day. Anyway, after the race, I ran 9 miles home too (I'd caught a taxi there) taking my day's total to 14. I had planned to run 13 miles home, to give me 18 for the day, but my legs started to complain about the earlier race pace, and I didn't have any water (during or after the race) so by the time I got to the crossroads where I could choose to go home, or to add an extra 4 miles onto the route, I chose home! So, overall, very satisfied with my efforts last week, but now concentrating on preparing for this weekend's exploits which are going to be entirely different - my first time doing back-to-back long runs. Still can't believe I'm doing it - 90 miles in 3 days just seems crazy, especially in the middle of a run streak. However, my pace doesn't matter, it's going to be along a flat course for a change, it's across beautiful scenery, and it's really just about experiencing what it's like to run back to back runs...and enjoying myself (mustn't forget that one!). So there we go, that's what I'm doing...27 miles on Friday, 33 miles on Saturday, 30 miles on Sunday. Wish me luck, the nerves are already starting to build! Good luck for the weekend ! I can't wait to read all about it! You inspire me so much! I'm scared that I'll become addicted to this ultra-marathoning lark! Close to 30 miles a day? WOWZA! I hope your legs are holding up since!